Renal Dysplasia ~ a complex and challenging disease to diagnose and treat. Melissa from Ohio recently purchased a puppy from me to replace one that died of Renal Dysplasia (RD). At the time, I was aware that this problem existed in the breed but was shocked at how young it strikes and how devastating it can be for new puppy owners. Worse yet, how potentially common it can be. Melissa's furbaby was only 5 months when he died. I was determined to learn as much as I could and hopefully prevent a tragedy like this one from every happening to my dogs. This is what I learned. 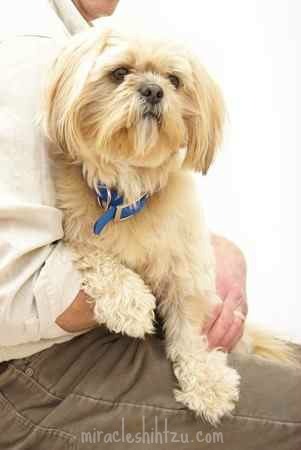 The Shih Tzu is not the only breed that is affected. Other breeds include the Standard Poodle, Norwegian Elkhound, Lhasa Apso, Doberman Pinscher, Chow, and Bedlington Terriers among others. Renal Dysplasia is a medical term used to describe kidneys that have not developed properly. While it can be acquired or inherited, in the Shih Tzu, it is likely a genetic problem. There is no cure, and it is potentially fatal as was the case for Melissa. The major problem with Renal Dysplasia is its difficulty to recognized. Affected dogs may never show the signs, and other dogs appear healthy for many years. The exact mode of inheritance is dominant with incomplete penetrance. The word Penetrance means the rate that the phenotype (or what we can see, such as eye color) is observed. If a mutation is fully penetrant, 100% of the dogs with the mutation will have the disease. If penetrance is incomplete, not all of the dogs will show signs of the disease. In simplier terms, dogs that are carriers pass the gene mutation on to the next generation, but may not be affected themselves. When these carriers continue to breed, they pass on their genes, and the mutation creating a possible proliferation of illness within the breed. Experts once thought that this disease struck puppies under two years of age which is why you may hear the name juvenile renal dysplasia. Today, the term, juvenile has been replaced by canine or simply renal dysplasia. According to Mary Whiteley, PhD., scientific director of DOGenes in Canada, this disease is not reserved for the young, but can occur later in life. This can be a big problem for Shih Tzu breeders because they will continue to breed seemingly healthy dogs that may produce affected puppies. Without any genetic testing, dogs used for breeding may not show any clinical signs of the disease but still pass on the mutation to their offspring. How Common is Renal Dysplasia in Shih Tzu Dogs? The presence of severe renal problems seems to be very low, but evidence suggests that in the adult breeding dog population, the prevalence of carriers is high. In October of 2003, Dr. Kenneth C. Bovee from the University of Pennsylvania completed a 10-year study of 143 Shih Tzu dogs and 52 matings. He discovered that the majority of breeding dogs had some fetal glomeruli. Estimates from this research suggest that it could be as high as 85% of the breed. The actual number of cases of renal dysfunction was low. 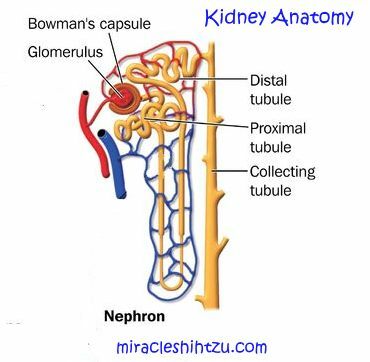 What is Going On in the Kidneys? Dogs are born with somewhat immature kidneys. By the time the puppy reaches about six to eight weeks of age, these organs mature. In the case of renal dysplasia, the transition from immature to fully mature kidneys does not take place. Affected dogs will have fetal or immature glomeruli within an otherwise mature kidney. The Glomeruli are tiny capillaries that filter waste products and excess water from the blood. The waste is excreted as urine. The percentage of immature glomeruli present determines how affected the dog is. The dogs are classified as normal, borderline, mildly affected, moderately affected, moderately severe and severely affected. The severity of the affected the kidneys will determine how long the dog will live. Mildly affected dogs may live a normal lifespan. You are not likely to see symptoms or even warning signs until the disease has progressed to the point where the kidneys fail. Most owners will not recognize a problem until the puppy is in end-stage renal failure. Increased thirst and urination are the first signs. 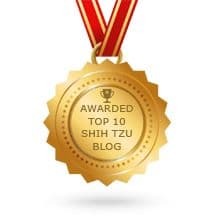 All Shih Tzu drink a lot of water, but if the dog is drinking so much water that housebreaking becomes nearly impossible, this might be your first clue that something is amiss. Other symptoms may include vomiting, weight loss, poor appetite, lethargy muscle weakness, and very dilute urine. Even with signs present, these symptoms can be mistaken for other problems. If a puppy seems to be drinking more water and urinating more than you would expect, it is time to call the vet. Unfortunately, most new puppy buyers do not measure water intake, let alone know what is normal. How is Renal Dysplasia Diagnosed? This is a complex and challenging disease to diagnose. A surgical biopsy is the best way to diagnose the problem. Before that is done, a veterinarian is likely to order a blood chemistry, urinalysis and do an ultrasound of the kidneys. Unfortunately, blood chemistry profiles may not identify the problem. Two standard tests determine renal function, BUN, and creatinine. These two values do not show up as elevated until about 70 to 75% of the kidneys are no longer working. 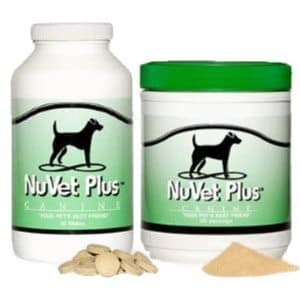 So, a normal value for BUN and creatinine just means that the dog has at least 30% kidney function. The urinalysis is likely not able to help make a diagnosis as well. Again, values measured while doing a urinalysis such as the Specific Gravity remain normal until the dog is in renal failure. If an ultrasound is done, the kidneys may show up as being smaller than average size and show some scarring. A wedge biopsy taken of a piece of kidney tissue and examined under a microscope will reveal underdeveloped glomeruli. This is the most definitive diagnosis. A needle biopsy will not provide enough kidney tissue. In 2011, DOGenes announced a genetic test that could screen for this disorder. Results of the test are reported as either Clear, Carrier, Affected. Clear: The dog has no copies of the mutant allele. If two clear dogs are bred, all puppies will be clear. Carrier: The dog inherits one copy of the gene from either his mother or his father. This dog could develop RD at some point in his lifespan, but the risk is low. (3-5%) The recommendation DOGene and the American Shih Tzu Club is that a carrier could be bred to a dog that is clear. There would be a 50% chance of producing a clear dog in the first generation. Homozygous: These dogs will inherit two copies of the mutation, one from each parent. The dog is at risk for developing RD, but again the risk is low (3-5%). If an affected dog is bred to a clear dog, all the puppies in the first generation will be carriers but could be bred to produce clear dogs in the second generation. Since the test became available, several scientists have voiced concern about the validity of the research done in the process of creating the genetic test. Carol Beuchat Ph.D. (Institute of Canine Biology) reported in January 2015 concerns about the validity of the test citing a journal article published November 8, 2012. The editors of this paper published an "Expression of Concern." Basically, the journal editors had some issues of concern were not addressed during the peer review process and concluded that the study had been flawed. "In light of the concerns outlined above, the PLoS ONE editors are issuing this Expression of Concern to make readers aware of the concerns about the reliability of the results and conclusions reported in the article." Renal dysplasia may progress slowly over many years or very quickly as was the case with Melissa’s dog. Stage One: A silent decrease in kidney function over months or years as nephrons in the kidneys are lost. No symptoms are seen during the first stage. Stage two: Kidneys function at about 30% efficiency and symptoms begin such as excessive thirst, significant amounts of nearly clear urine, loss of weight or failure to gain, little energy, and intermittent loss of appetite. This stage can last several months to several years. Stage Three: During stage three, the dog is in renal failure and will typically not last more than a month or two before death. Weakness, severe debilitation, and vomiting are often seen during this stage before death. Treatment is supportive since there is no cure aside from a kidney transplant. Dehydration is a real possibility so dogs should have access to fresh, clean water regularly. Often fluid therapy is recommended for severe dehydration. If medications are prescribed, they are geared at treating specific symptoms. If your dog is vomiting, they may give them something to stop it. If the dog is in pain, a painkiller may help. These are highly specialized procedures and are only performed at specialty clinics or teaching hospitals. They are also very costly and may not be covered through regular pet insurance. 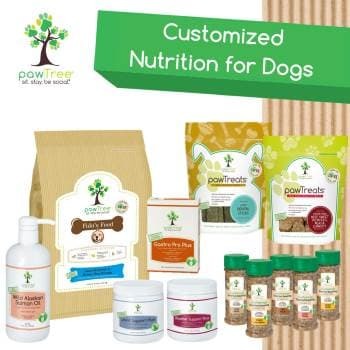 The good news about RD is that now there is a genetic test that will help breeders make informed decisions about which dogs to breed and to whom. Unfortunately, as with all testing that is done on breeding stock, it can be costly and according to some scientists, the initial research may have some problems. More testing usually means more expensive puppies. But, healthier puppies mean that the life time cost of the dog will be much lower. 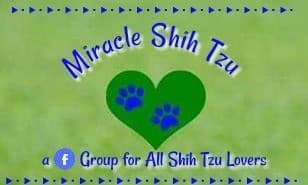 Most important, perhaps someday, all Shih Tzu lovers may be spared from the sadness that accompanies such a tragic and devastating disease.